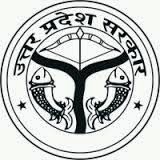 UPPSC Assistant Prosecution Officer Recruitment 2015: The Uttar Pradesh Public Service Commission was declared the recruitment notification for the Assistant Prosecution of 372 Posts. All of the interested and eligible candidates apply the online application at the official website. The candidates can apply this recruitment before the last date (29.05.2015) of the online application. This year UPPSC has announced the many notification to recruit many of the eligible candidates in the Government of Uttar Pradesh. Further details like as the educational qualification, age, selection process, how to apply details given below. Candidates must possess the Degree in Law from a recognized university or institute in the Govt of India. The candidate age limit should be between 21 years to 40 years as on 01.07.2015. They will be provided the age relaxation for the candidates as per the rules. The candidate selection process will be depends on the performance in the written test. Then shortlisted candidate called for the personal interview. There are three rounds in the selection process. The selected candidate has to be earning the monthly salary rate Rs 9300-34800/- + Grade Pay Rs 4800/- per month. The eligible candidate applies the online application at the official website appears.up.nic.in. The candidates apply this job recruitment should before May 29, 2015. On this page, we provide the online application link and detailed recruitment notification. Start Date of Online Application: April 29th, 2015. Closing Date for Online Application Submission: May 29th, 2015. Last Date for Payment Fee: May 25th, 2015.